Welcome to the library, a vital learning center for our school! Our current collection of fiction, non-fiction, and picture books is available for all staff and students. Each class is scheduled to have one formal library period a week. 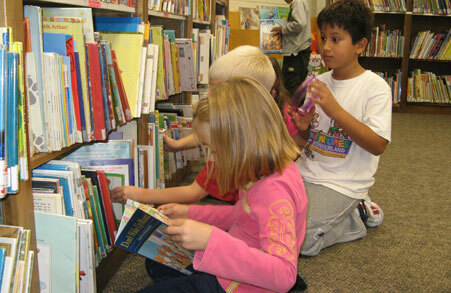 A library volunteer is available most afternoons for story time and for checking out books. Beyond books, our Learning Commons is also a busy place of activity on most days as students use this flexible space to extend learning going on their classrooms. The warm, welcoming space is used by classes, groups, and parent committees in the evening.